A snowboard you can kickflip and ollie? That’s right, a Storm snowboard is much more than a mountain or freestyle board, it’s the most innovative snowboard in the world. You can stand sideways, front-ways, or anyway you want. 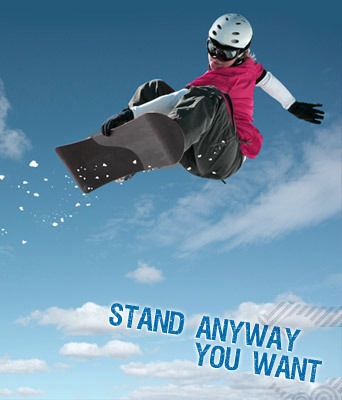 You can do kickflips or ollie’s, and can use your Storm snowboard as a mountain board or for freestyle, in the park or out.